Our chefs love cooking for you whether a meeting, small gathering or corporate events. Choose from selections of appetizers, salads, curry, stir-fry dishes, noodle and rice dishes, or ask us to custom-design a menu to meet your specific needs. Nahm is a unique Thai restaurant with a beautiful inside decor and Patio on Windward Parkway in Alpharetta offers a glimpse of traditional Thai culture, where balance and harmony come together in a relaxing, elegant atmosphere. 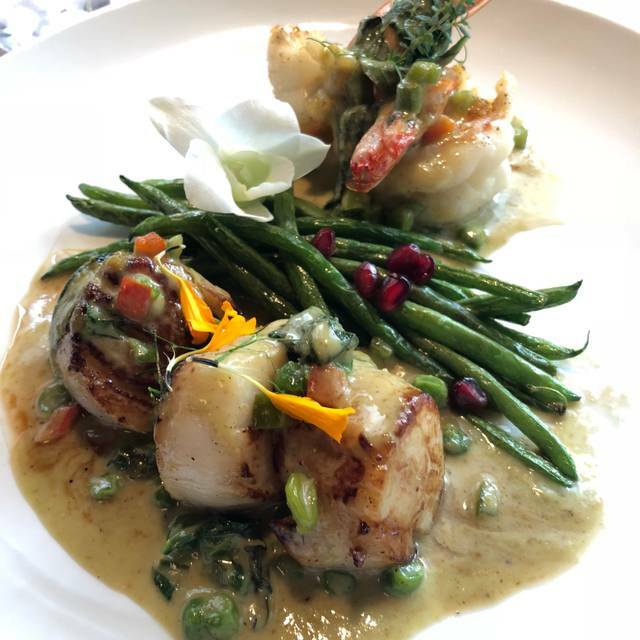 Executive Chef and owner Nahm Thongyoung combined her love of art with a passion for cooking, provides diners with a taste of both exceptional freshly prepare authentic Thai cuisine and the Thai cultural experience. " The way our food prepared honors the essence of Thai culture, weaving richness, elegance, respect and balance into every hand-crafted dish." Please note, we do not have highchairs or a kids menu. It is difficult for us to accommodate children. There will be an automatic gratuity of 20% added to all parties of 5 or more. Every person was enthusiastic with their choices. All dishes were beautifully presented and spectacularly prepared. Great service, ambiance, food quality and presentation. Whenever I want to take friends to a place that has to hit on all cylinders, Nahm's is always at the top of that list. This restaurant always impresses me. Their food never fails in delivering amazing tastes and it is only surpassed by the table side visit by Nahm herself. Very delicious and beautiful presentation of the dishes. The wait staff was very friendly and accommodating. They seated us immediately and were very gracious. Would highly recommend to Thai food fans. Our go to restaurant!! Food is always amazing! Customer service exceptional! Owner/ chef always comes out and speaks to everyone! Highly recommend! Great food and wonderful service!! Ambience is so nice! Will certainly be back! Outstanding. Best Thai restaurant West of Bangkok and East of Bangkok. Fresh, innovative, thoughtful ingredients make for some exquisite preparations and Nahm’s attention to detail is perfection. She also engaged with every guest, a rarity in today’s wam baaam thank you customer world. OUTSTANDING!!!! The food was absolutely fantastic. This is truly high-end, up-scale Thai cuisine. The staff was very friendly and helpful. The chef herself came out to the table to make sure all was to our liking. The food tasted great and the presentations were seriously well done. We came to celebrate our anniversary and were looking for something different from the run-of-the-mill. Found it! Not cheap, but well worth the experience. I decided to take my daughter to Nahm for a date with me, her dad. My wife and I are fans. We had a great time and great food. 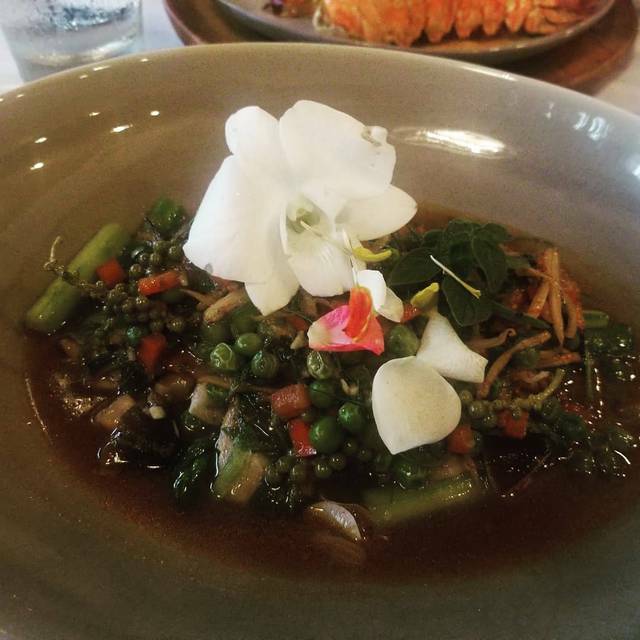 Nahm and her staff treated my daughter so well and made sure she was enjoying herself. Chef Nahm is consistently amazing. Everything prepared here is delicious and made with care. Don't forget to try the coconut cake for dessert. As always, Nahm Thai is the best! Amazing food, great atmosphere and always a pleasure to get a visit from Chef Nahm. Can’t wait to come back!! Excellent! Everyone enjoyed their meal and the service was impeccable, as was the food. The best Thai food in Atlanta. Service is also spectacular! This restaurant is an amazing local gem. The food is top notch, creative, and of the highest quality. The staff is welcoming and attentive to every detail of your visit. We are lucky to have such an establishment in our community and since discovering it we have dined here weekly because the flavors are addicting! If you haven been to Nahm-run-don’t walk-to Eat there! 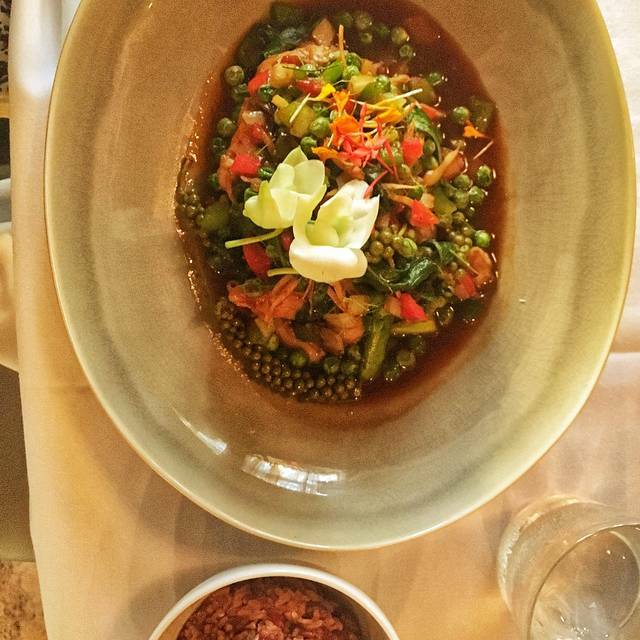 The dining experience at Nahm, whether lunch or dinner, is exceptional. Every single detail is attended to. Nahm is an exceptional business woman and chef. You will no doubt meet her as she makes it a point to walk through the restaurant to greet her guests. The servers are also excellent. Never disappointed. Food is phenomenal. Outstanding dining experience !!!!!! From the food to the drinks to the service. Highly recommend for any Thai lovers. 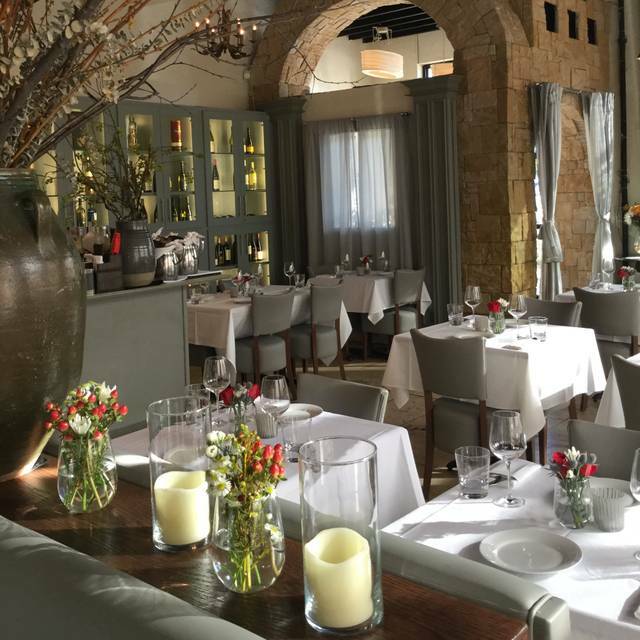 The service was 5 Star and having the owner visit our table was a classy touch of excellence. Consistently excellent! That’s the mark of a good restaurant, and Nahm always delivers. A bit on the expensive side, but quality has a cost. Highly recommended. Enjoyed another wonderful dinner experience at Nahm Thai Cuisine. Service was attentive and on point as usual. Dinner was exquisite and flavorful, chef Nahm is an expert mingling Thai spices and flavors. My favorite restaurant for an above average dining experience. Never disappoints. Food was excellent. And the Chef also gave us complimentary desert. Beautiful food and presentation. The chef came out to our table twice. An excellent restaurant to celebrate my husband's birthday. We will be back! First timers, drive up from Atlanta as I had seen the review on ATL Eats. The meal exceeded our expectations. Soft shell crab in green curry sauce and shrimp pad Thai. For dessert, we had the coconut special. I highly recommend. Nahm and her stag always do an amazing job! The chicken shrimp dumplings, pad thai and the mango sticky rice are the all time best of anyThai restaurant I have been too. Fabulous food here! Great place but very noisy!!! Our meal was superb as always . Service was a little slower than in the past. The restaurants was a little chilly. Chef Nahm came out to greet us as she always does and is always such a delight. 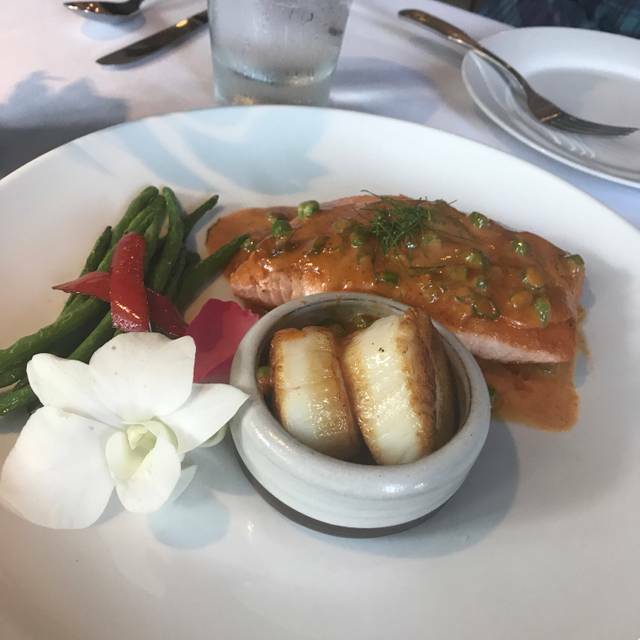 Nahm Thai is still our favorite restaurant in the north Atlanta suburbs. The prices have gotten way out of hand. The food is decent, but not worth a 50% premium over other Thai restaurants. Big push by the servers for the overpriced “specials”. Probably won’t be going back. Nahm is absolutely consistently excellent. Everything about it. The food and presentation of it are perfection which speaks to Nahm herself in the kitchen. The staff is friendly and well trained and helpful. KJ behind the bar is our favorite. 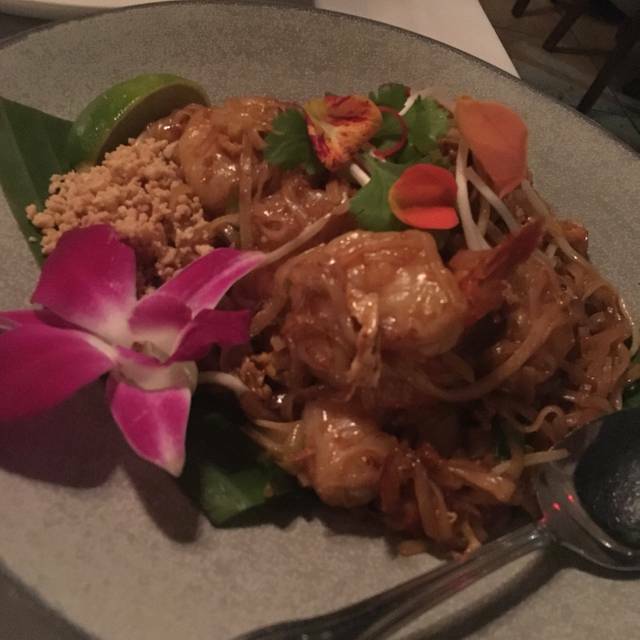 Overall, you won't find better Thai food in the North Fulton area. Nahm Thai is consistently delicious! I have been coming here for years. The atmosphere is top notch. The service is top notch and absolutely EVERY meal is so delicious! This is the best! Love this restaurant! Was a busy night and so food was slow coming out... However the Chef/owner is wonderful and so sent out a starter salad a palette cleanser while we waited. Wonderful service and food is amazing! Beautiful food and out of this world flavor!!! It was our first time eating at Nahn Thai and it was delicious. Great experience! Nahm’s is easily one of the best restaurants not just in the OTL of Alpharetta but Atlanta overall. Great food, the friendliest of service, it’s just a place I always love to come back too. 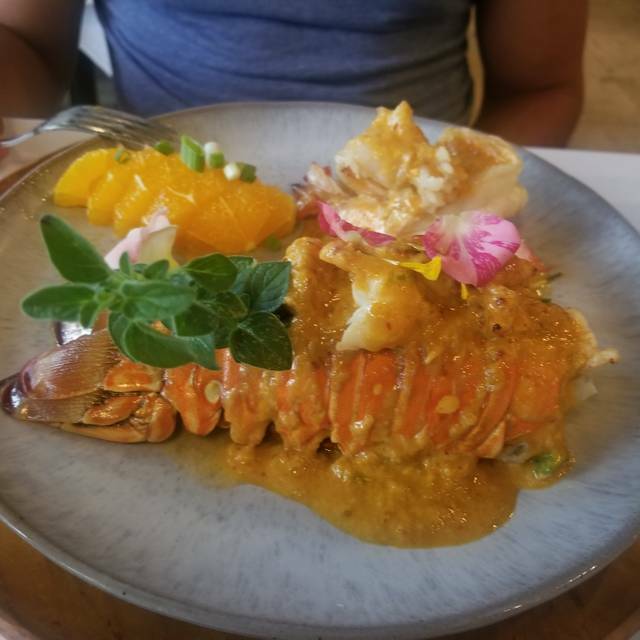 I visited Nahm Thai Cuisine while on a business trip and was very pleased. The menu offered many different takes on traditional Thai dishes and the items I tried were very nicely done. The presentation was exceptional as was the attentive staff. i would suggest offering additional traditional menu options to compliment the signature dishes. One noticeable difference between this Georgia Thai spot and my hometown restaurants in Detroit is the "Hotness" Rating; a Georgia "Mild" is a Detroit "Low" or no spice! I needed extra chili to get the Oomph I expected. Food is excellent, prepared and presented under the guidance of a chef with attention to detail. Food took a while to be prepared and delivered but was done very professionally. Staff is very reserved and some can come across as a bit snooty. Our order was not completed properly (I received chicken in my dish and my wife received shrimp in her dish which was reversed of what we asked for) however we did not feel it worthwhile to complain. Several wines were not available but they happily directed us to more expensive options, which we declined. Overall we felt this is a VERY expensive restaurant. An inexpensive bottle of Butter Chardonnay we buy locally was marked up $30 (we skipped the wine). A cup of soup was $10. Entree's were about $30+. 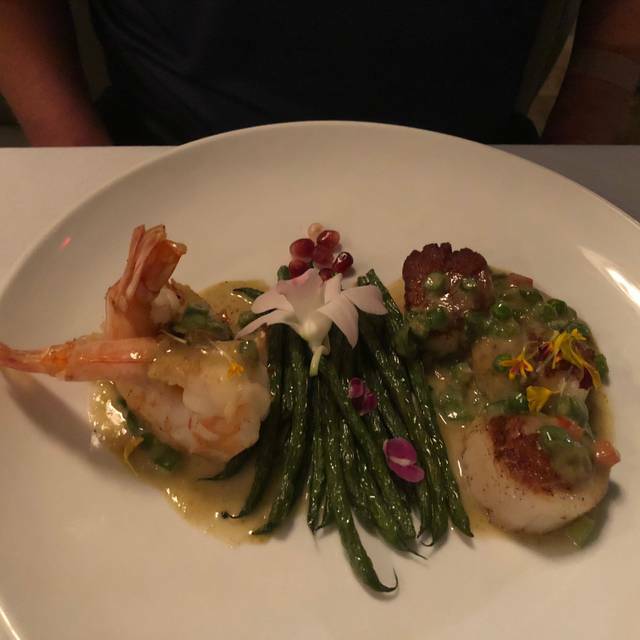 While we still feel sticker shock when the bill is presented, this is an upscale, chef directed restaurant that focuses on the details...and I guess that is what you are paying a premium for. The appetizers we had—the dumplings and crispy crab rolls were outstanding. I wish I had made my meal crispy crab rolls. I ordered beef Pad Thai with just a LITTLE spice for my entree—it was so hot I could not eat it. Next time I will order mild. I’m sure I will go back. We had excellently prepared food with the assistance of service personnel. I look forward to going again soon. 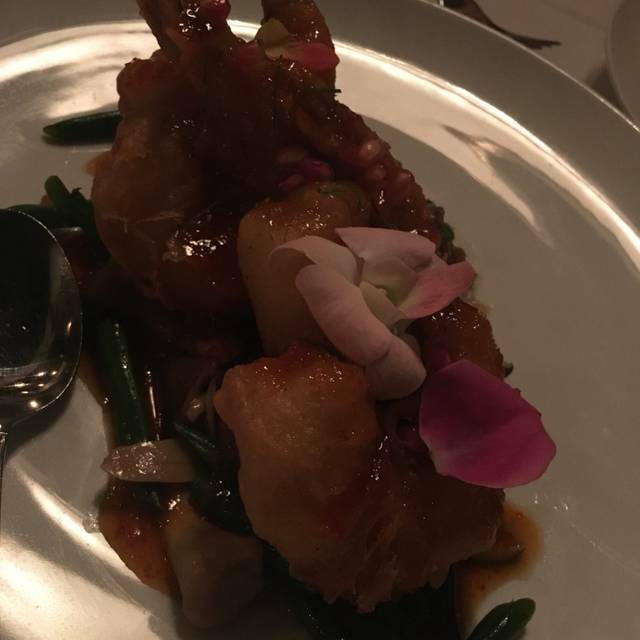 The food is always delicious and the service is impeccable! We had great time. Everything was perfect and our server Rosie was awesome! Everything from the greeting to the last bite of dessert was just wonderful!